This product have been discontinued. This page is here for your reference. 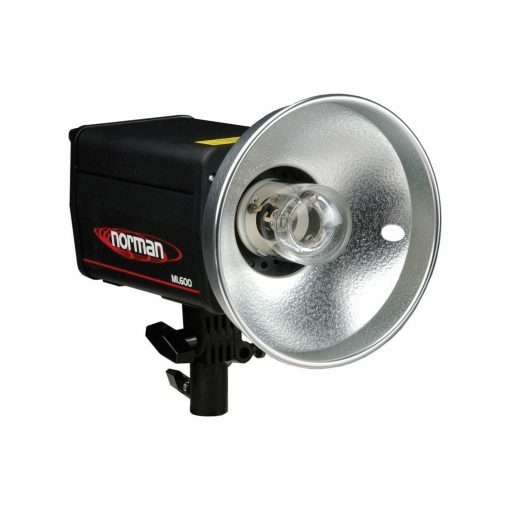 The Norman ML600 600Ws Monolight combines durability with the versatility of today’s advanced electronics. The controls on this flash head allow power adjustments in either Ws or f/stops. A digital readout displays accurate, repeatable settings from 18 to 600Ws in 1/10 stop increments. 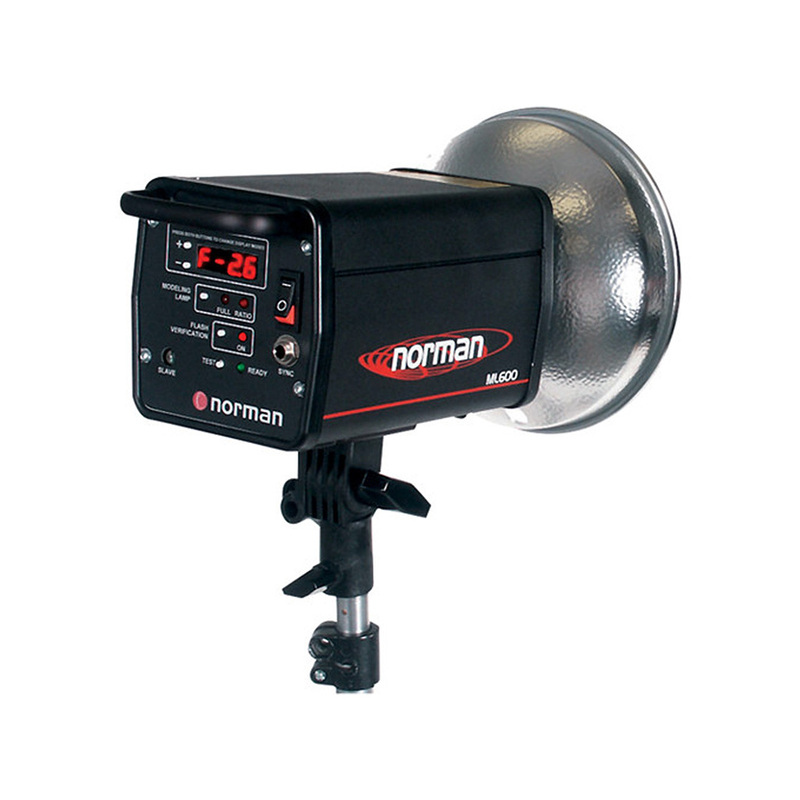 Accepts Photogenic reflectors and accessories. Compatible with over 100 Norman accessories and light modifiers using R9113 Adapter Ring, available separately. Digital interface adjustable in 1/10 stop increments. Low noise, high-performance fan offers increased protection during the most demanding applications. 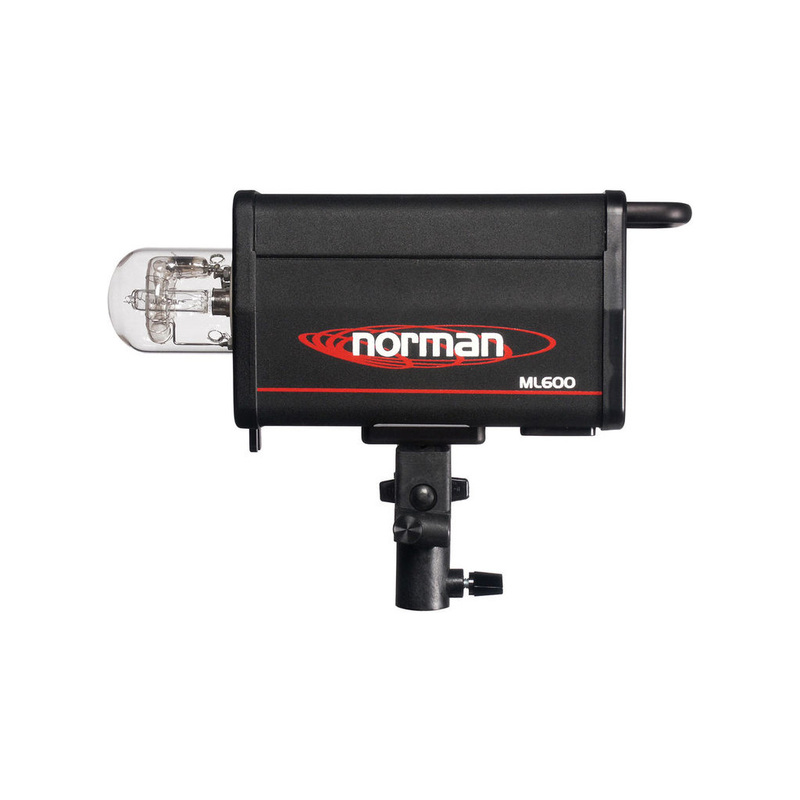 Switchable optical slave synchronization with other flashes. No tools are required to replace this “plug & play” flash tube. Automatic shut-off if the unit becomes too hot. Gain access to lower power selections without the need to manually dump a higher power first.